The motorist had the green light when she struck my client in the crosswalk. We took on the insurance company against all odds. We won. The human toll in pain, suffering, mental anguish, incapacitation, disability, lost wages, loss of quality of life and loss of loved ones each year in American when motor vehicles collide with pedestrians, is incalculable. If you or a loved one is a victim of a motor vehicle-pedestrian accident, please call Tom Sokat immediately for a free initial consultation. 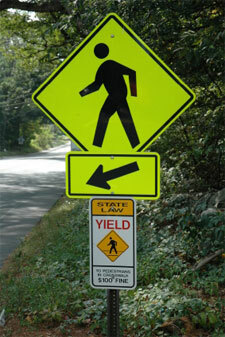 Here is what you can do to ensure fair compensation in your pedestrian accident case. Failing to adequately maintain their vehicle. There is nothing to lose when calling our office to inquire about your pedestrian accident case, but there might be a lot to lose if you don’t.